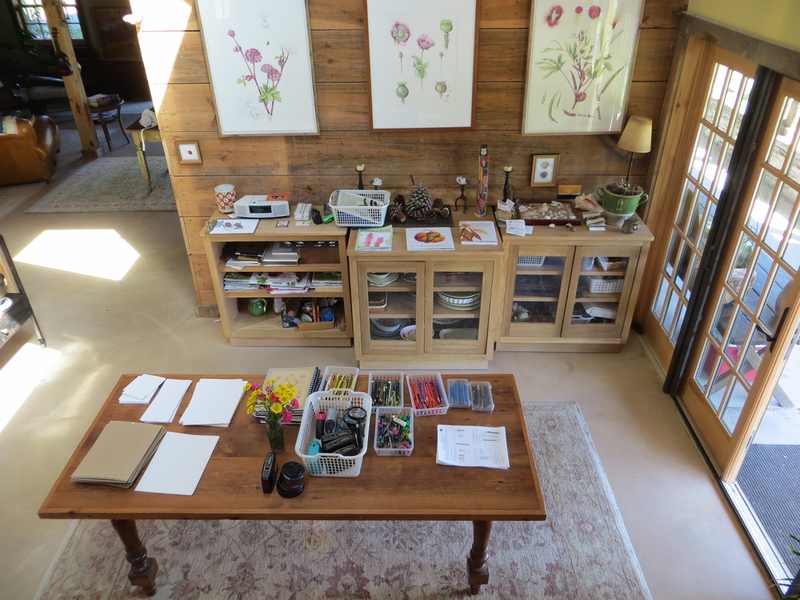 We are excited to announce another 3 day workshop at Hollengold Farm in September. The weather is usually great and many lovely things will be blooming in the garden for inspiration and of course delicious food to eat! 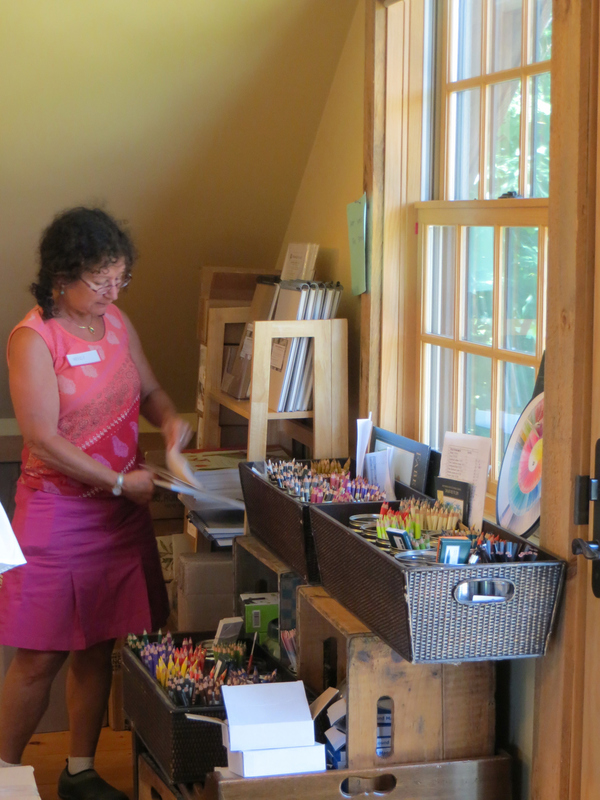 Here are some photos from the recent workshop we had here in June. Located in the Hudson Valley of NY State. 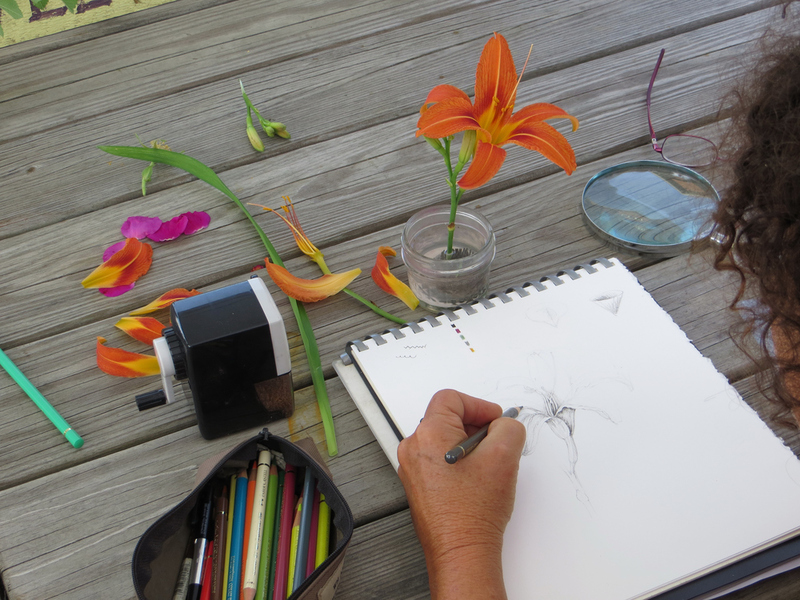 Join botanical artist, instructor, and author Wendy Hollender at her home and garden to study the techniques outlined in her book: Botanical Drawing in Color, A Basic Guide to Mastering Realistic Form and Naturalistic Color. 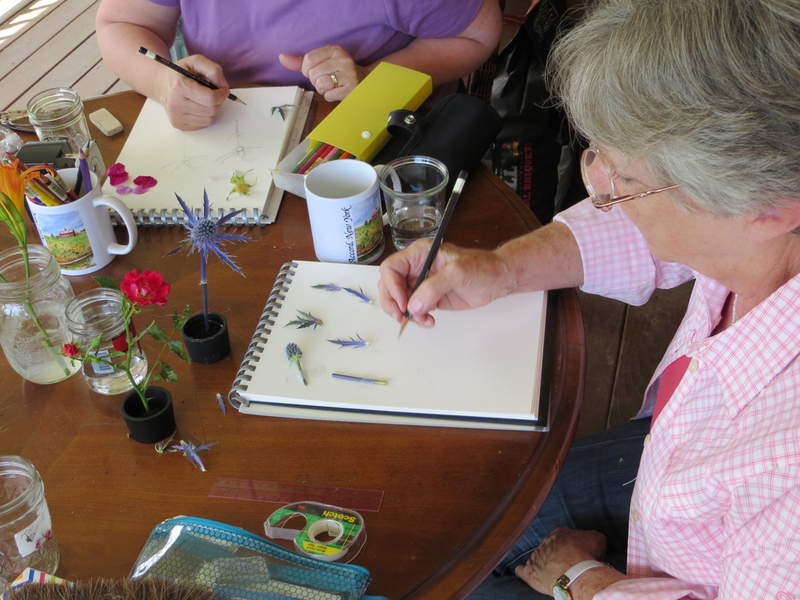 Create drawings in colored pencil and watercolor pencil from the plants growing in the gardens at Hollengold Farm. Use a “Grisaille” technique for undertones in a neutral color and then layer color on top to create realistic plant portraits. 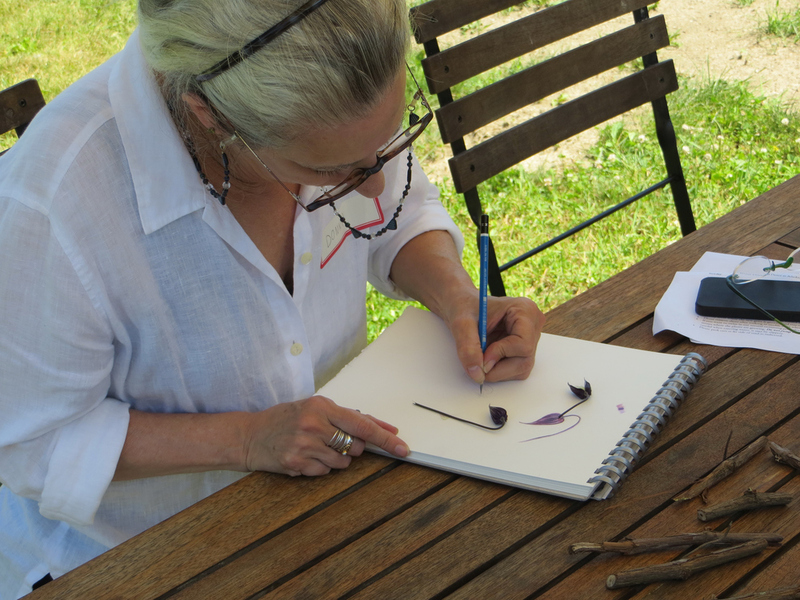 This technique is very immediate and materials are simple, allowing the artist to work easily in multiple locations, and is especially useful for work in the field. Workshop price: $300.00 includes lunch. 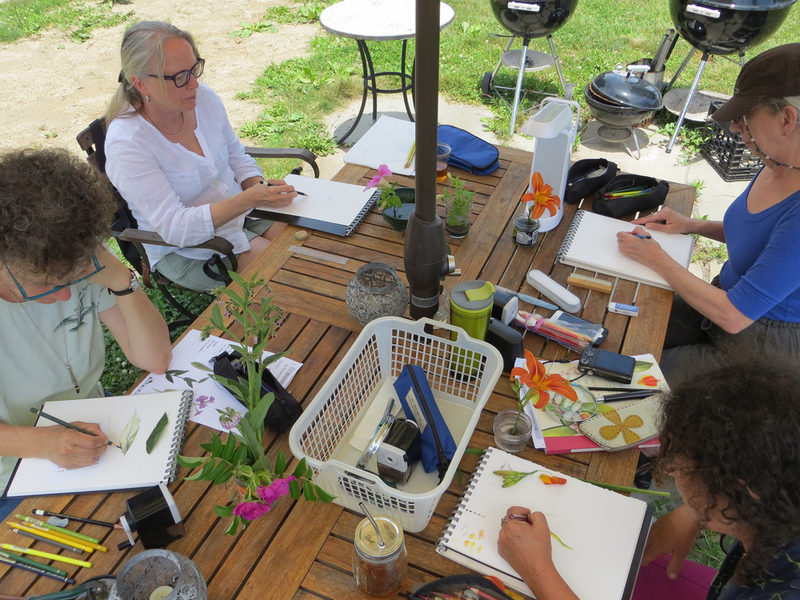 Daily demonstrations of botanical drawingThe weather was glorious and we were able to work outside all three days. 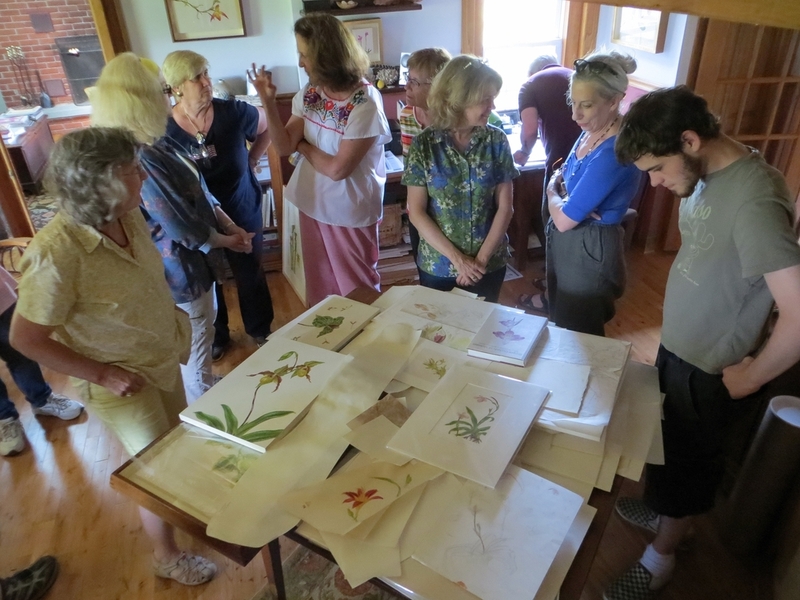 Will's lunch included home made ice cream with our fresh strawberries.Our daily salads and herbal infused drinks were also very popular.Students were treated to a visit to Carol Woodin's stuido to hear about painting on vellum. Hope to see you on the farm! 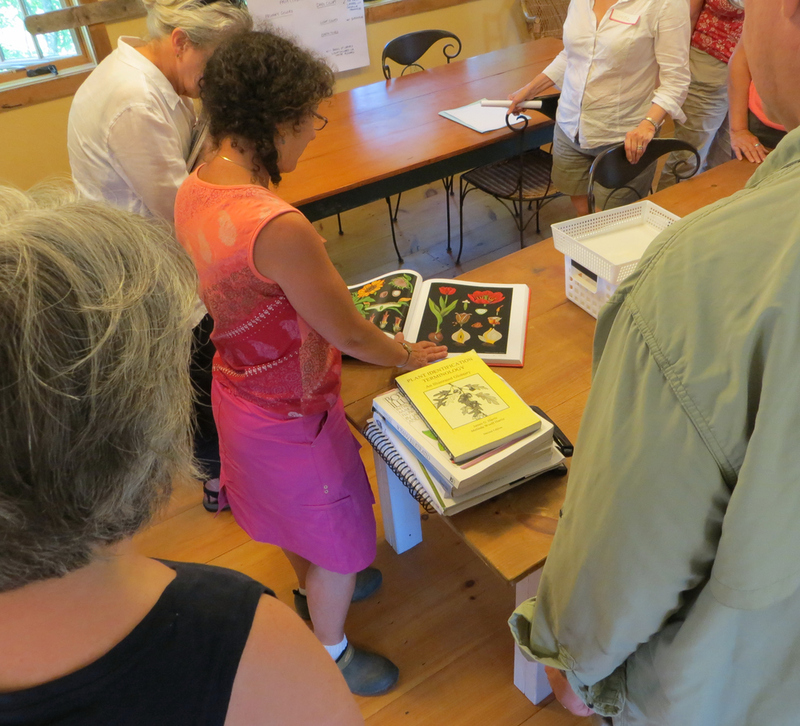 Dina Falconi author of Foraging & Feasting; A Field Guide and Wild Food Cookbook took students on a plant walk to learn about identifying edible weeds.